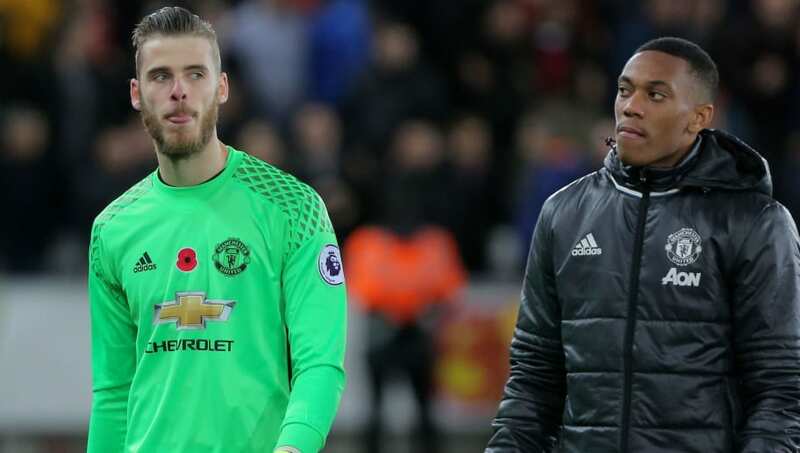 ​​Manchester United goalkeeper David De Gea has hailed his teammates Anthony Martial and Paul Pogba ahead of the team's ​clash against Paris Saint-Germain in the UEFA Champions League this week. The Red Devils will be in Champions League action for the first time under caretaker manager Ole Gunnar Solskjaer, having won 10 of their previous 11 domestic matches under the Norwegian. In the build up to the game against PSG, Solskjaer rotated his squad heavily for last weekend's clash against Fulham. Martial and Pogba played key roles in ensuring United claimed all three points from that game and De Gea feels that these two players could once again take the headlines against PSG. As reported by ​Metro who quote his interview with Telefoot, the Manchester United fan favourite said, "Honestly, we have a team that could win something, with young players who are very ambitious like Paul, who is young but has a lot of experience and is fundamental for us." He continued, "There is also Martial who is unstoppable at the moment in one-on-ones. He is fundamental for our team. We will fight to go all the way to final but first we must eliminate PSG. Then, we will see." Talking about the clash against PSG, De Gea claimed, "It will be an intense Round of 16 match, a great match to play, very special, against a very good team that has exceptional individuals, amongst some of the best at the moment. ‘They are the favourites but we will be very motivated. We all really want to play in this special match and win it." Finally, on being asked about Neymar's absence from the PSG clash, the Spanish shot-stopper said as he concluded, "It is a real shame, but I think that even if he is a very special player, there are a lot of other players who could replace him, dangerous players and at a very high level. In these types of big matches, it is the small details that make the difference. It will be very tight and I hope that these details will go in our favour." The ​first leg of United's clash against PSG will take place on Tuesday 12 February at 8pm GMT, meaning, that it will kick off at 1:30am Indian Standard Time in the early hours of Wednesday morning.